Track the latest developments and participate in making an exceptional big data platform even easier. Whether you’re an experienced HPCC Systems user or just getting started, there are several ways to get involved with our community. HPCC Systems Community Day is a gathering of engineers, data scientists, academia, and technology professionals who share knowledge, featured use cases / research projects, and future roadmap plans for the HPCC Systems platform. Search through the bulletin board of comments organized for developers, students, data scientists, administrators and more. See how updates to HPCC Systems happen in real-time with detailed updates for each sprint of activity. Make your mark by contributing your ideas and code to the HPCC Systems community. All contributions are reviewed before being published. Fork the HPCC Platform (or other) repository. Clone your GitHub repository to your development machine. Make the changes, and commit them to the branch. Push the branch to your GitHub repository. Go to our Community Issue Tracker. Create an account (if you can, use same IDs on Jira and GitHub). Search for any issues assigned to available for anyone. Post questions in the issue. Discuss ideas in the Developer Forum. Take a look at our 2018 Google Summer of Code and HPCC Systems Intern Program project lists. All project ideas are available for anyone who wants to contribute a solution. Some ideas are not fully formulated, others also show the name of an HPCC Systems developer to contact, so you can discuss your solution. Have an idea and want to discuss it with an HPCC Systems developer? Email Lorraine Chapman who will help you get connected. The HPCC Systems team is always looking for contributors to the roadmap. View the HPCC Systems Roadmap. Interested in assisting on any of these items? Please contact us. View or download ECL code snippets contributed by the community. Contribute ECL snippets of your own. Access publicly available data sources to play with and leverage in your own ECL applications. Contribute links to public data sources. Download ECL data descriptors and example programs for working with common publicly available data sets such as those identified in the Public Data Sources section. Contribute ECL data descriptors and example programs of your own. Want to see even more examples? Check out the GitHub ECL Samples repository. Flavio Villanustre joins John Biggs as a guest on his Technotopia podcast to chat about the future of big data and how the HPCC Systems open source platform handles massive data stores. 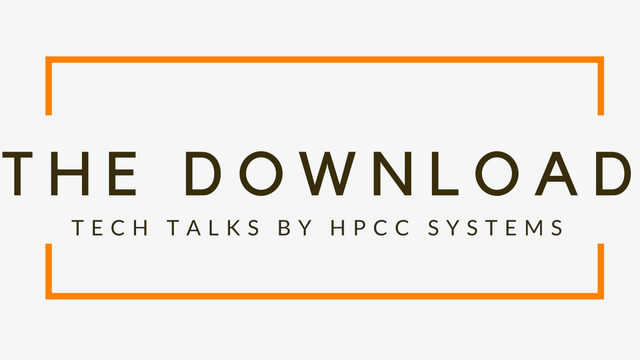 Browse all podcasts, and follow HPCC Systems on SoundCloud, iTunes, and Google Play. Stay up-to-date on the latest news for HPCC Systems developers by checking out the most recent issue and all past issues here. Work with our ecosystem partners. HPCC Systems partners help our customers drive efficiencies in implementing big data solutions. The expertise our partners provide is comprehensive. Interested in joining our partner ecosystem? We’d love to hear from you. Send us an email. We work closely with several universities and other academic institutions. Learn more about our academic relationships. We really like working with the HPCC Systems platform. I just like the whole concept of open source. It is very good for our research community. As we get to replicate and everyone is adhering towards it and it can be scaled ... you have a sense of satisfaction. You have a comfort level and a lot of confidence that says to others that you really know what to do. We are very thankful for the support that we get by LexisNexis and by Elsevier in order to perform the kind of research and systems work that we currently do. I would recommend that others consider HPCC Systems as an analytical tool for data, especially data that is complex and there is a need to integrate and curate data coming in from multiple sources.